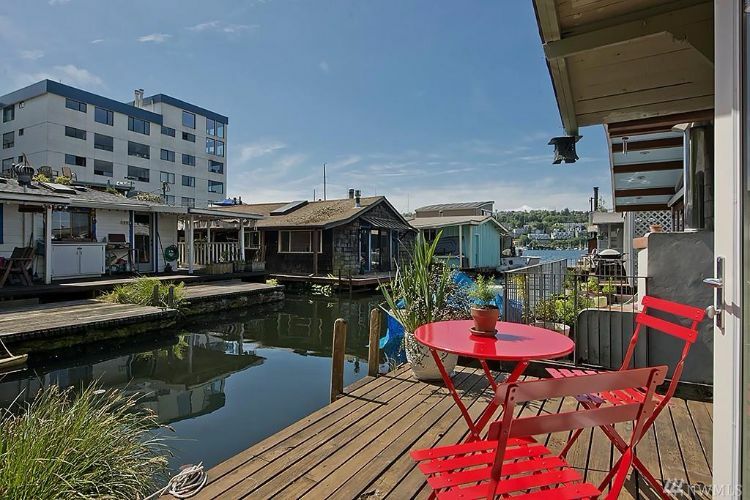 This extraordinary floating home for sale in Seattle, WA offers a modern, stylish take on the typical houseboat and is more similar to a traditional suburban house than you think, while leisurely floating at the waterfront. Come explore it with us! 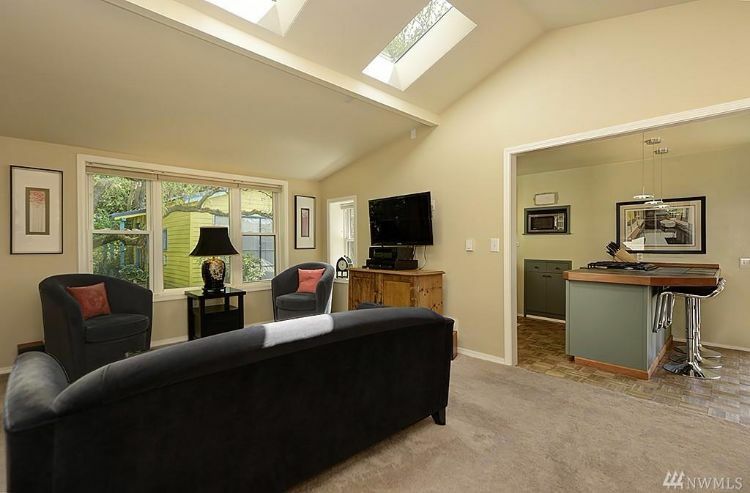 Located in Eastlake, north of downtown Seattle, this recently remodeled houseboat offers 865 square feet (80.36 square meters) of private lakeside paradise. 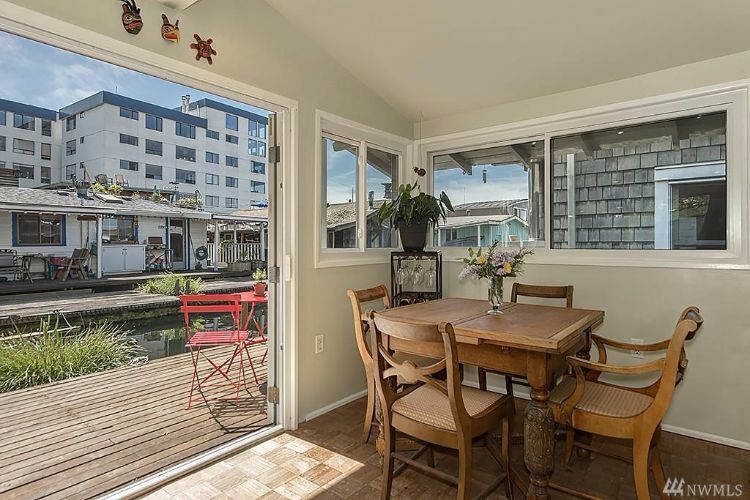 The front entrance of this south-facing floating home is very charming, adorned with flower vases and low-key outdoor wall hangings. At the back is a private deck, where you can watch the passing seaplanes as you marvel at the shimmering waters. Luxurious amenities enhance this houseboat's interior. Some areas of the house have hardwood flooring, while others are ceramic tile. 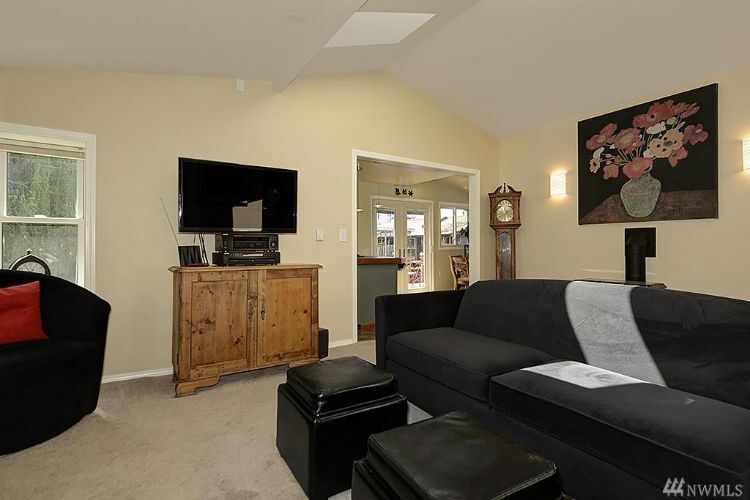 Classic decor pieces, such as wooden cabinets, a grandfather clock and wall art, complement the fully carpeted living area's sleek furnishings. 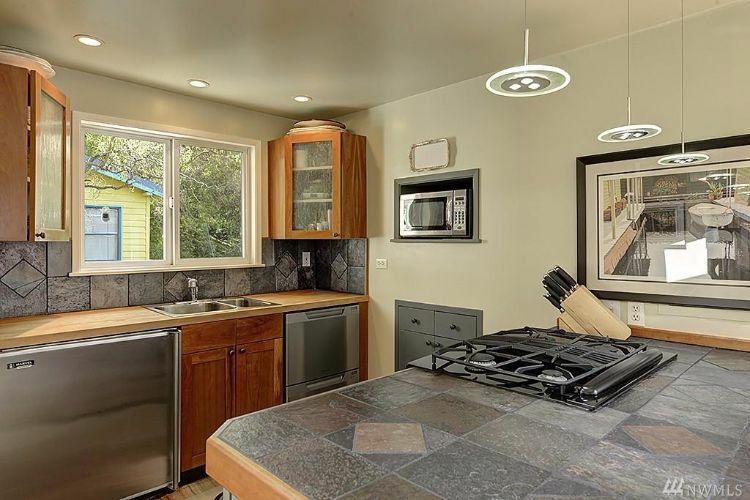 The kitchen is replete with upscale features, too. The hanging lighting fixtures impart a modern flair to this posh area of the house. 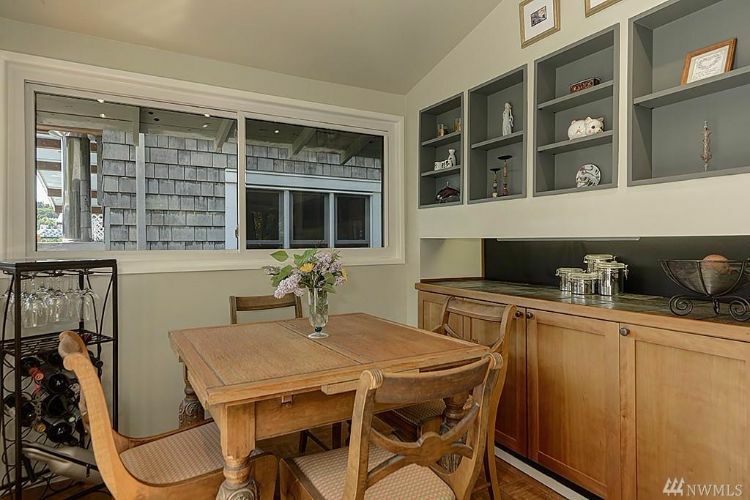 In the back of the house, you'll find a bright, airy dining area set up to keep glasses and eating utensils well within reach. It's also conveniently located by the outer deck. French doors allow this houseboat's lucky owners and their guests to get the most out of warm summer evenings. 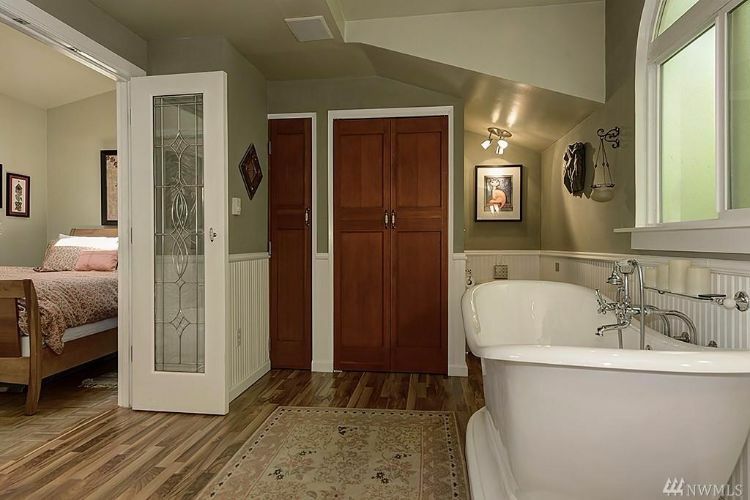 Turning back to the living area, you can access the home's bathroom. 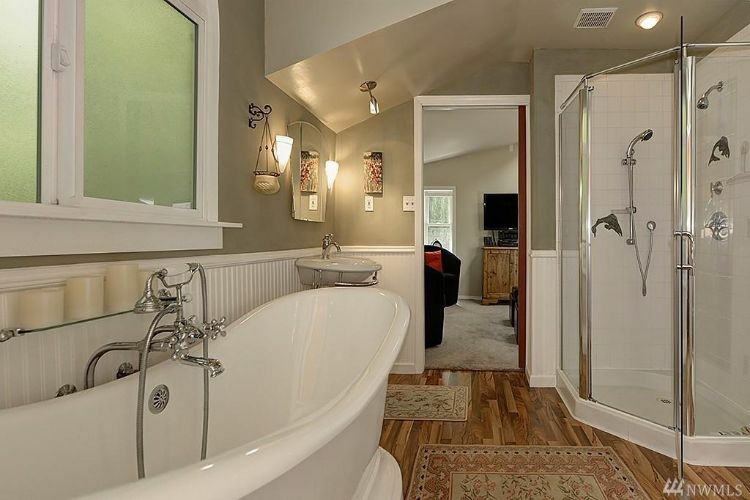 Typically, in a tiny home, you would expect to find either a shower or a bath — but this spa-like area incorporates both! 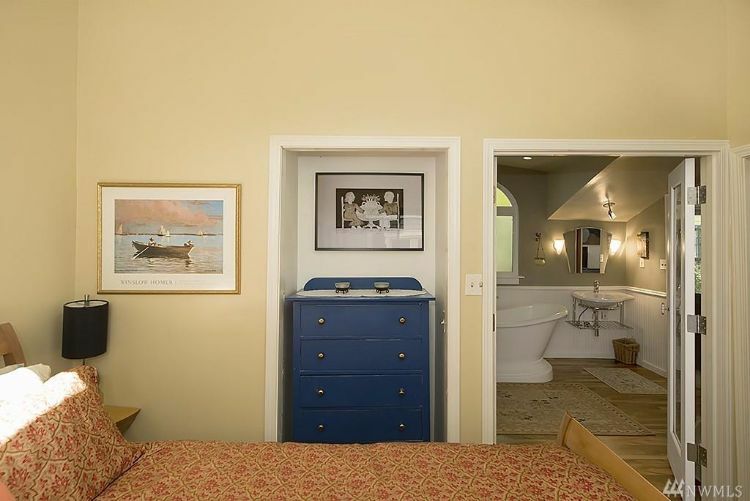 As a bonus, the bathroom has a door that leads straight into the master bedroom, which is beautifully decorated with gorgeous paintings and wall art. 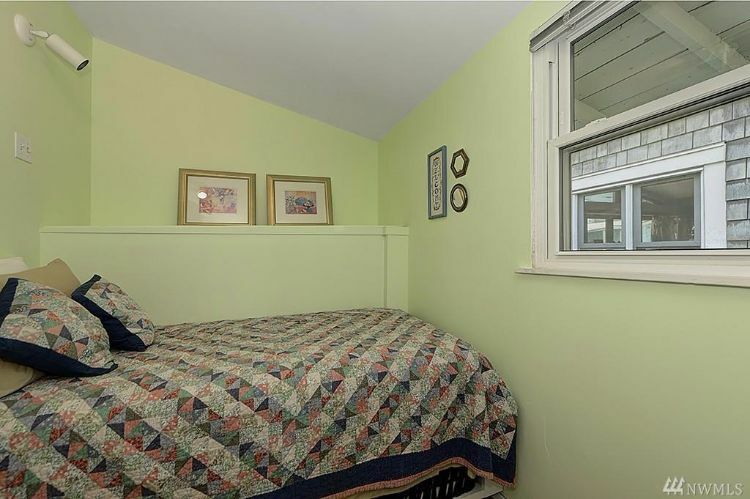 Another interesting detail in this room is the chest of drawers that's neatly tucked away from view. 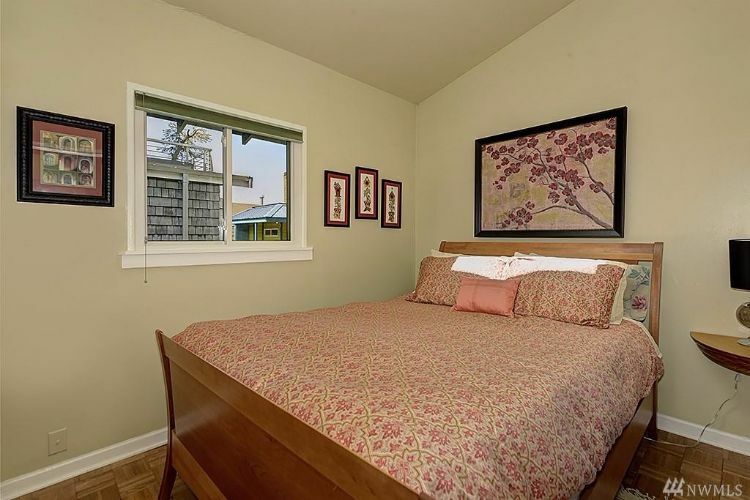 In addition to the master bedroom, this home offers a modest but comfortable second bedroom. 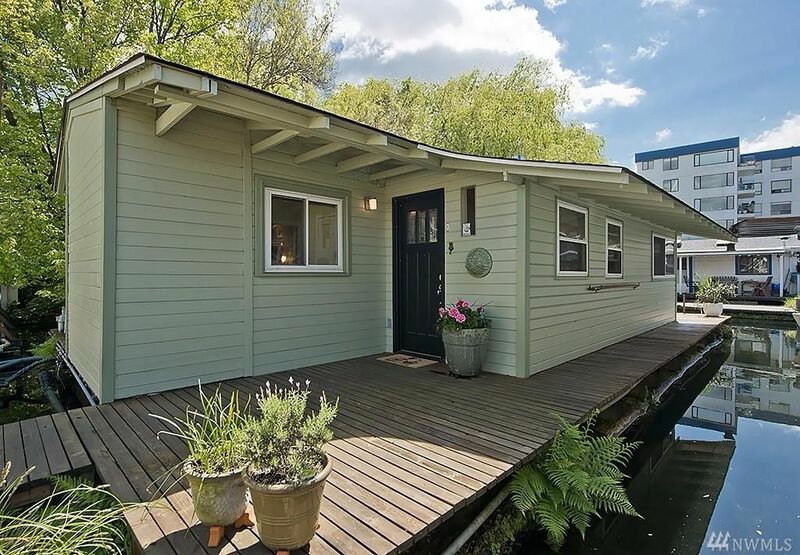 If you're looking to buy a houseboat that defies normal conventions, then this is one worth considering. 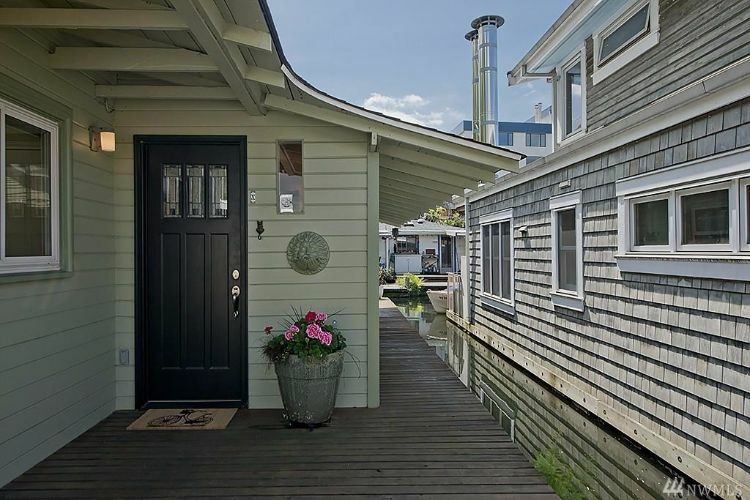 Escape to your own floating house on the water with full amenities. Known as a water villa, this unconventional floating home includes a lovely garden, waterfront patio, and an eco-friendly design that includes the use of solar power.